Concerts are held at the outdoor band shell on 140 N. 5th each Sunday at 7:30 pm from Memorial Day weekend through the first or second week in August. Their Facebook site is Fans of the Seward Municipal Band. On the corner of Hillcrest and Columbia in Seward, NE, the Children’s Memorial Park is a place to honor and remember children who have been lost from our world too soon. Three brick walls, containing the etched children’s names and messages, are the centerpiece of the memorial. Two unique art pieces, a Lifetile Wall entitled “Fly Away” and a sculpture, “I Am The Light”, bring messages of hope and peace to those who visit the memorial. 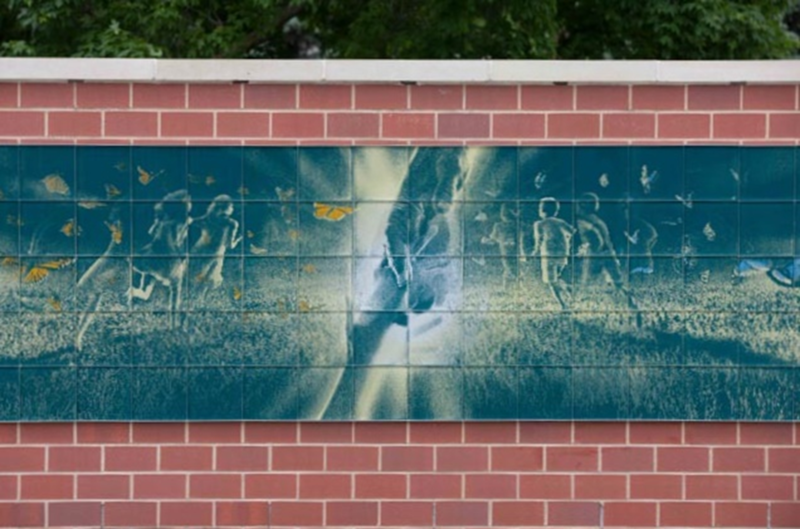 The park, located on the campus of Concordia University, was designed to honor the memories of these children within a setting of community and learning. The memorial is not only for children of the Seward community, but from all of Nebraska, other states, and other countries. We invite you to experience the memorial. The winding pathway represents the journey of grief that parents follow after their child’s death. Benches along the path provide a place of solace to sit and reflect on the memories of these lives, and the landscape provides a beautiful and peaceful setting for all who visit. Night or day, the memorial is a place of beauty where those who grieve can seek a spiritual connection to their child. An annual remembrance day is held the day before Memorial Day, commemorating the names of the children who have been added to the wall during the previous calendar year. Each December, on World Candle Lighting Day, the public is invited to place lighted candles along the pathway in honor of a child. Heartfelt Incorporated, a non-profit charity organization, was founded in 2002 to provide support to parents who have suffered the loss of a child. The organization continues that mission today, as well as financially supporting and maintaining the Children’s Memorial. Memorial bricks may be ordered through the organization. For more events, visit the Seward County Tourism website.